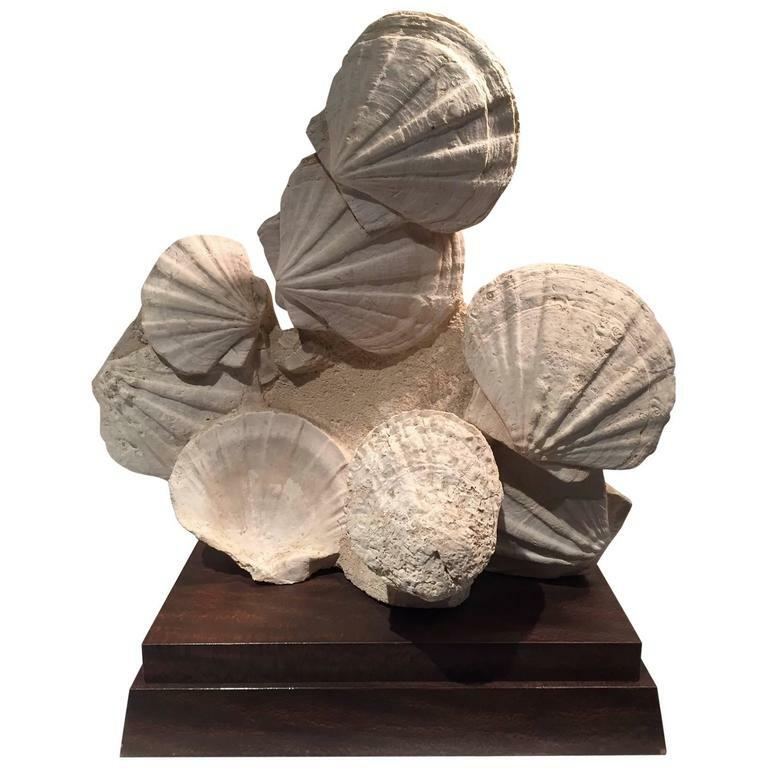 This large group of pectens mounted on a wood base almost appear to have been sculpted from the limestone rock in which they were found in the south of France. Pectens are scallops that have their roots from the Carboniferous period over 350m years ago but still exist in the present day. Fossils can no longer be collected from this site, so it is no longer possible to obtain these specimens except from existing private collections. 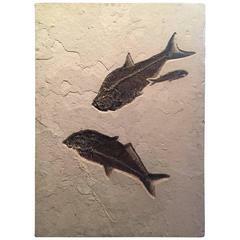 Very large and complete eocene fossil of a group of fish. 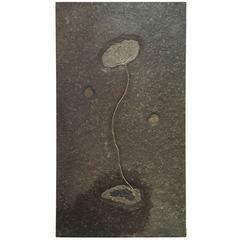 Earthed from the Green River Formation in Wyoming, this piece is between 34-56 million years old. Coastal driftwood of an unknown species sourced in the mid-20th century from the Washington coastline. Mounted onto a wood stand via two blackened steel rods. Pair of Orthoconic Cephalopods towers or fossilized squid specimens carefully cut from stone and polished to reveal these remarkable organic sculptures.